PLYMOUTH'S waterfront businesses have voted 'yes' on setting up a Waterfront Business Improvement District (BID), with a 59 per cent turnout and a 70 per cent approval. The BID, to be set up by Plymouth Waterfront Partnership, will aim to drive investment in the Waterfront and give local businesses a greater say in the way the Waterfront is marketed and managed. 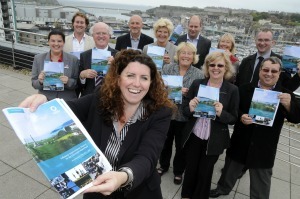 It will be funded by waterfront businesses paying a 1.5 per cent levy on their rateable value. The move has been controversial. Tam Macpherson, owner of the Clipper Inn and chairman of the Hospitality Licence and Leisure Retail Group, said he believed that setting up a BID was an attempt to remove public services from scrutiny and accountability. "Is the city not better placed to address the complex issues involving public safety and upkeep of public open spaces? Why would the private sector wish to take on such responsibilities?" He rejected claims that the BID would reduce business trading costs. Andrew Ashley, of Enterprise Plymouth, said he could see the benefit for tourism-related businesses but many had nothing to gain from a BID. "It's an approach that has worked in the city centre, but I know a lot of the Waterfront businesses are not happy."